Adam is a member of the Firm and he currently serves as the Business Group Practice Leader. Adam joined the Firm in 2003, after graduating from law school. 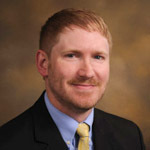 While in law school, Adam focused his studies on the business transactions concentration offered at the University of Tennessee College of Law. He has represented numerous banks and businesses throughout West Tennessee in assisting them with their transaction and collection needs. Also, Adam has assisted numerous families and individuals with estate planning, conservatorships, and probate matters.